West Yellowstone - On Friday, January 15, Buffalo Field Campaign volunteers will help improve a section of public lands wildlife habitat by assisting Gallatin National Forest with a barbed-wire fence removal project in the Hebgen Lake Ranger District. The section of fence is approximately two miles long and runs parallel to Highway 287 near Duck Creek. A small section of the fence runs along Highway 191. Cattle producers installed the fence when the land was used as a public lands grazing allotment. Gallatin National Forest recently closed the allotment, a move applauded by wild bison advocates. "Removing the barbed-wire fencing on Duck Creek will help migrating buffalo and other wildlife access their native habitat," said Buffalo Field Campaign Habitat Coordinator Darrell Geist. "Highway 287/191 is a major thoroughfare that bisects a wildlife migration corridor in the Hebgen Basin. While the road remains, the fencing will soon be gone to the benefit of native buffalo and motorists." Duck Creek is an area favored especially by bull bison, which often have to negotiate the barbed wire after crossing Highway 191. The fence also makes it more difficult for them to stay off of portions of Highway 287. Mixed groups of bison, including newborn calves and cows, also use the area. Buffalo Field Campaign has many times witnessed the Montana Department of Livestock hazing buffalo in this area, causing injury to buffalo by running them into the unforgiving strands of barbed-wire. "From a natural resource perspective, it's encouraging and exciting to develop collaborative partnerships with entities that have an interest in management of their public lands," said Gallatin National Forest Wildlife Biologist Randy Swilling. "The fence removal surely will benefit those wildlife species that use this area as a migration corridor." At least thirteen Buffalo Field Campaign volunteers, including locals from West Yellowstone, will take part in the habitat improvement project. Workers from the Natural Resources Defense Council will also come from Livingston to assist. "Rolling up our sleeves with friends to pull fence and improve habitat for bison and other wildlife on the border of America's first national park is a satisfying way to spend a January day in southwest Montana," said Matt Skoglund, a Wildlife Advocate for the Natural Resources Defense Council in Livingston, Montana. After spring thaw, volunteers will resume activities to take out the fence posts and hope to continue to assist Gallatin National Forest with similar projects on other closed public lands grazing allotments, including Horse Butte. "Wild Yellowstone bison migrating through the area will still be forced off of Gallatin National Forest lands by the Montana Department of Livestock," said BFC spokeswoman Stephany Seay, "But at least now they will not have to be run through fences and risk injury when being pursued by livestock inspectors in this area." Buffalo Field Campaign is the only group working in the field, every day, to stop the slaughter of the wild American buffalo. Volunteers defend the buffalo and their habitat and advocate for their lasting protection. 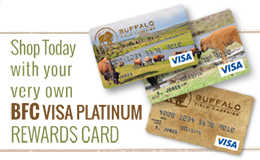 Organized by BFC campaign seasons, which follow buffalo migration patterns each winter.